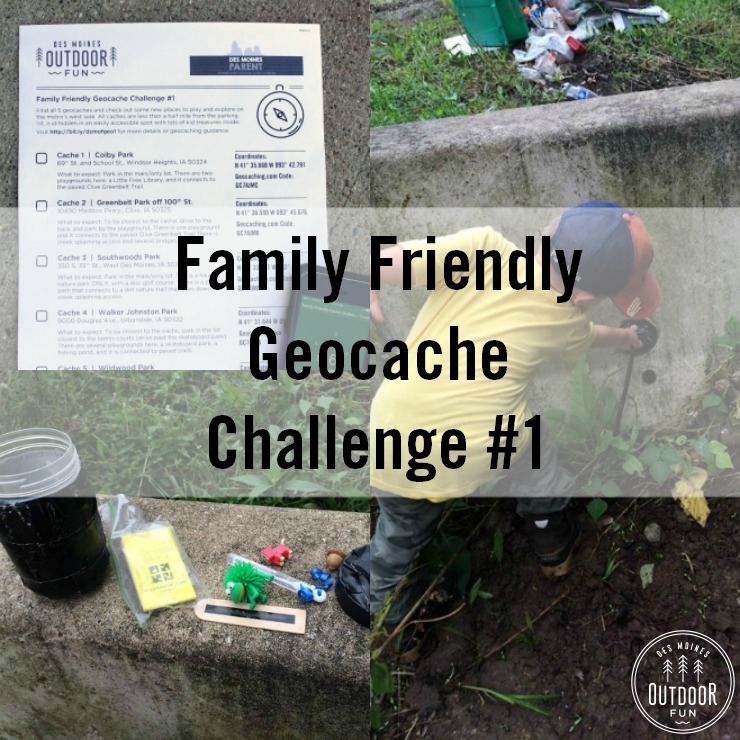 I’m excited to announce my first local geocache challenge! 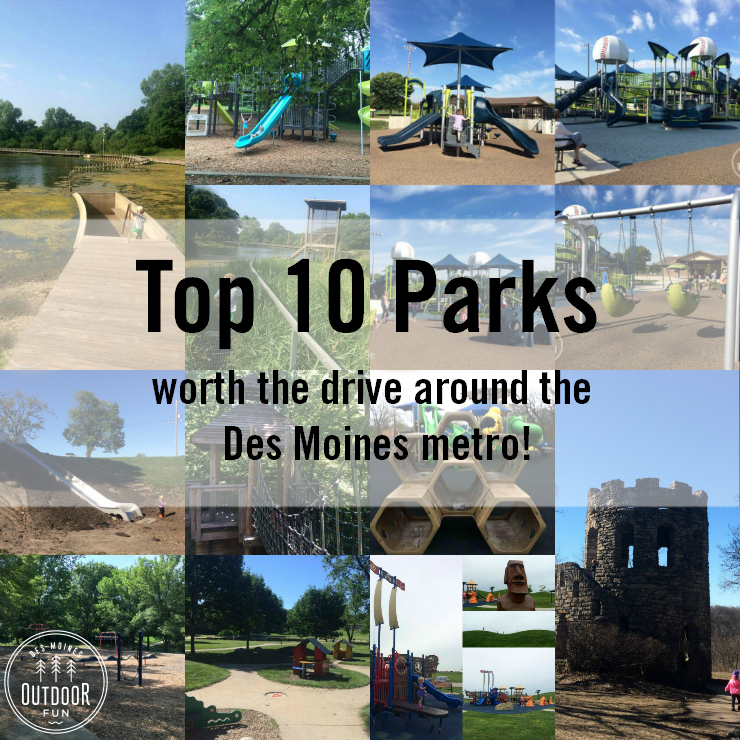 I worked with Erin at Des Moines Parent to pick fun spots on the west side of the metro and then hid a cache at each one. 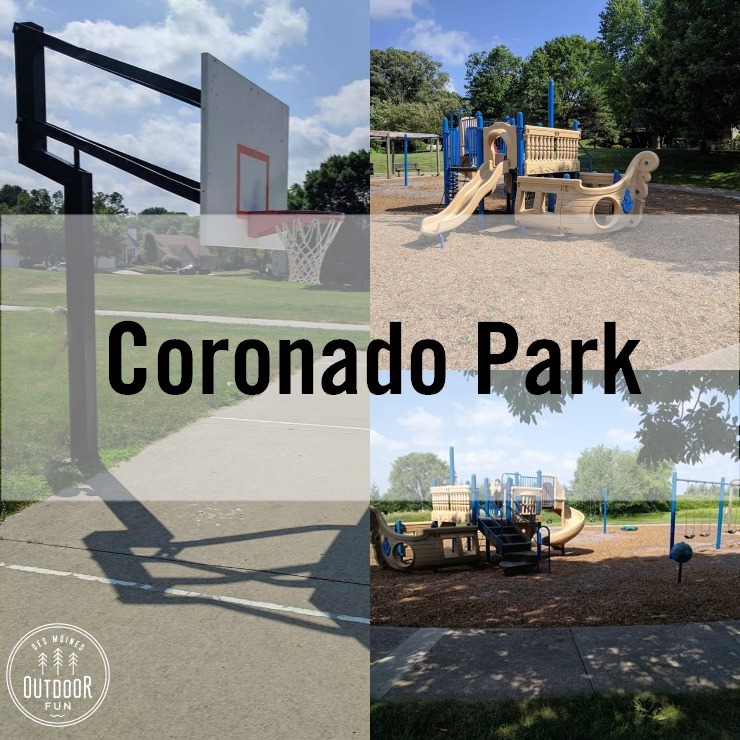 All caches are less than a half mile from the parking lot, and hidden in an easily accessible spot (as in, you could bring a kiddo in a stroller and get to them) with lots of kid treasures inside. 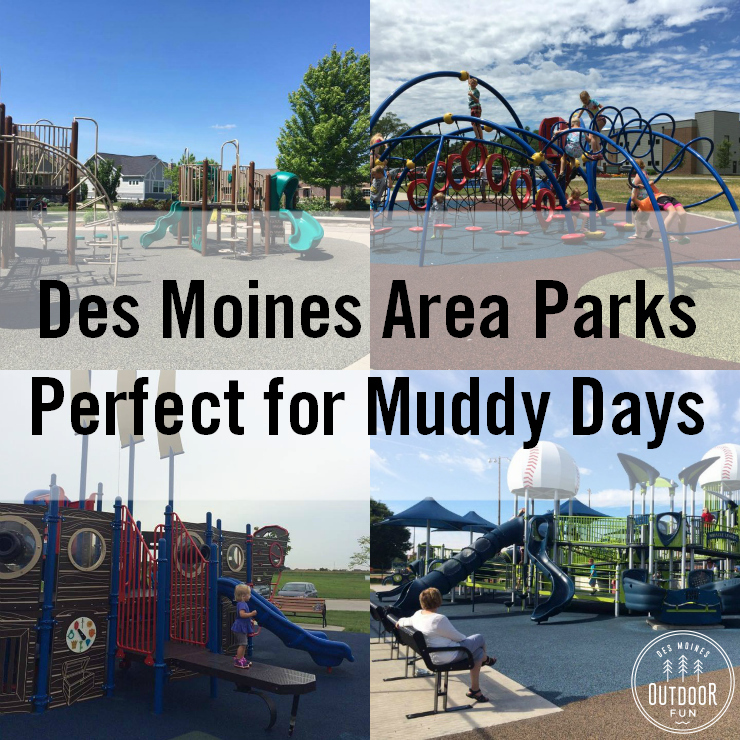 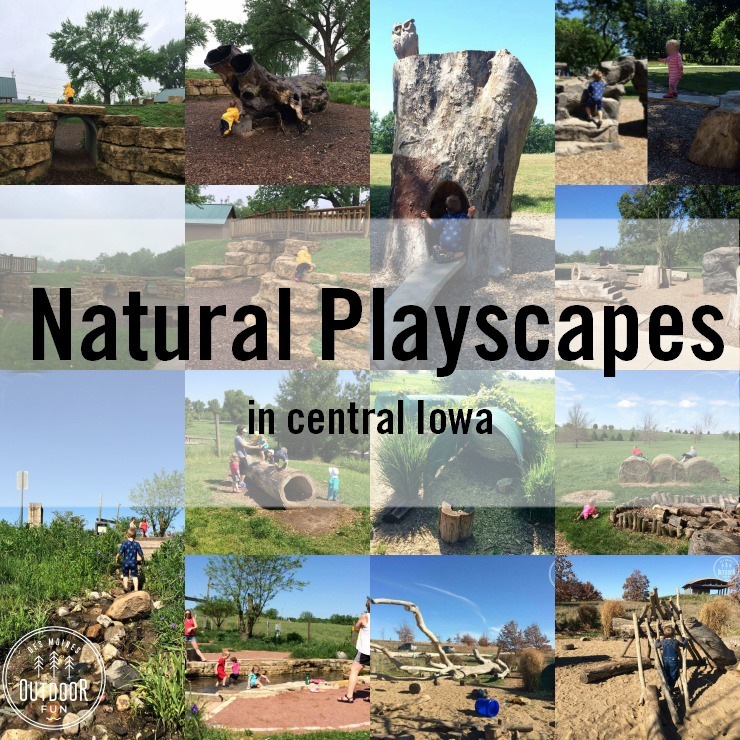 Also visit this post on Des Moines Parent for my thoughts on each park and why I love it – as well as the coordinates if you would prefer those. 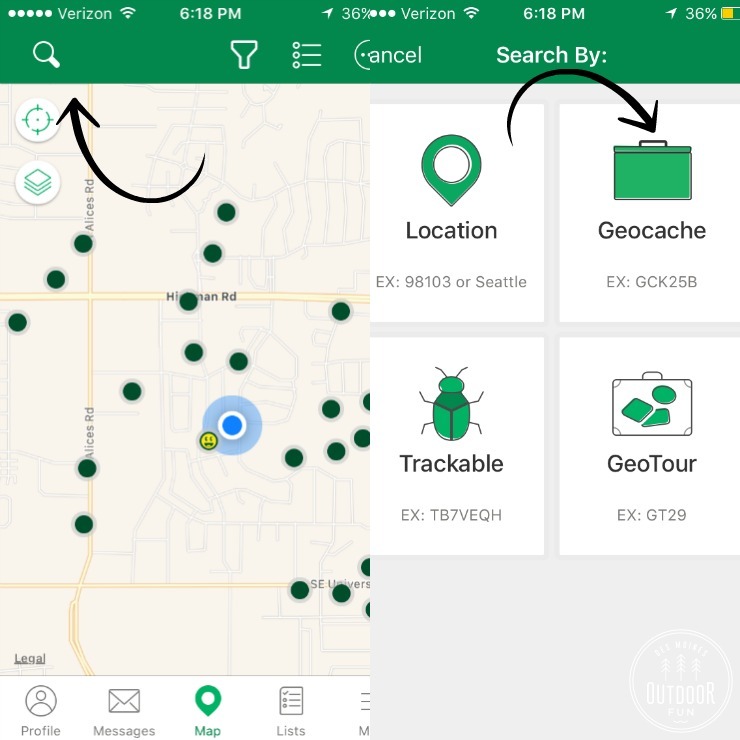 If you haven’t geocached before, I recommend using the (free) Geocaching.com app and I have a full picture tutorial on how to get started, in this post. 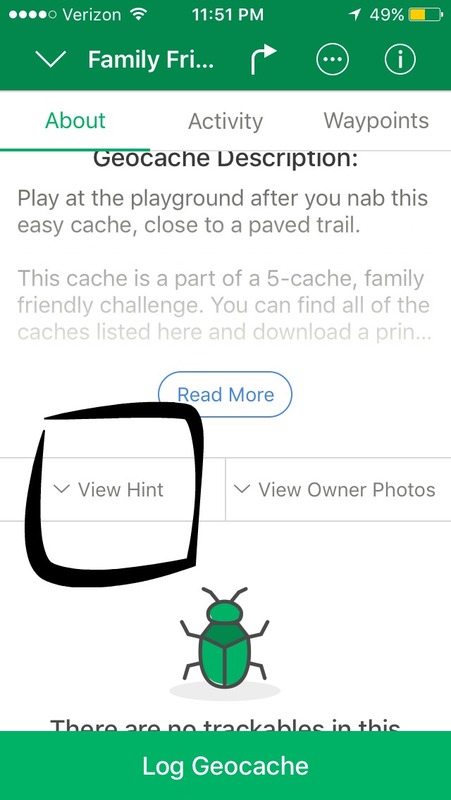 Each of these caches has a hint, if you get stuck, see below for where to find it! 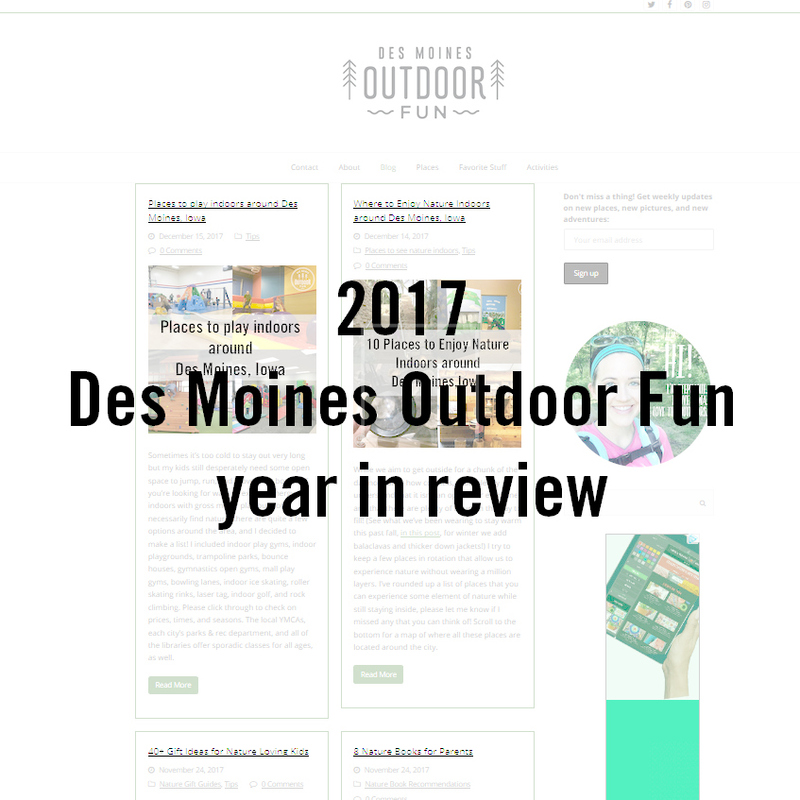 If you want a free printable checklist with all this info on it, sign up for my newsletter here! 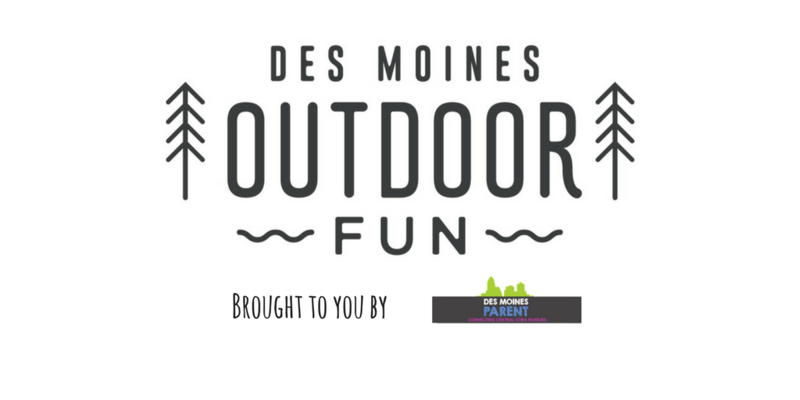 The checklist will be available for download in your welcome email. 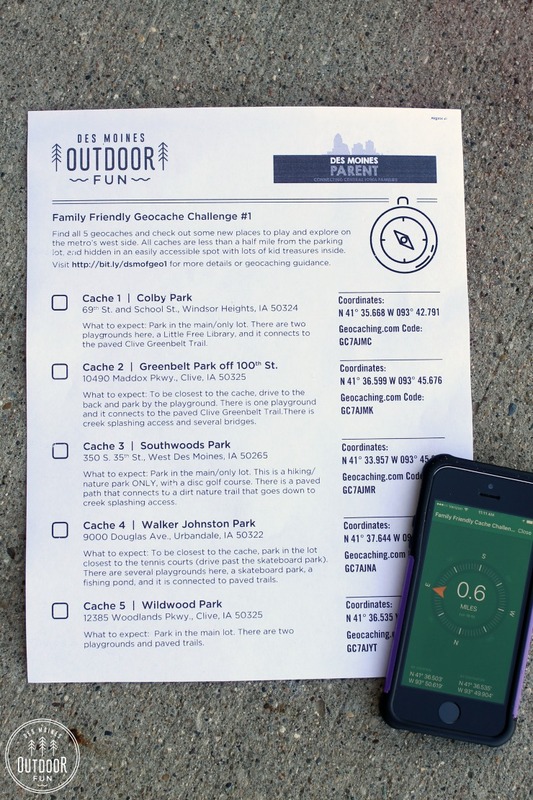 Remember that you can find these caches by typing in the GC code – see below for where to find that spot!